What image of yourself have you carved out in your own mind? During this lesson, Rev. 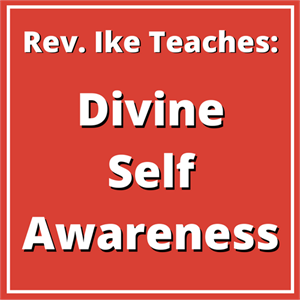 Ike shares his tried and true, mind-changing philosophy of positive self-image psychology and how vitally important it is to keep a positive picture of yourself in your mind at all times. Because everything that you are presently being, doing, and having is the result of your self-awareness, either consciously or unconsciously. Don’t let anybody else tell you who you are – YOU decide who you are. You have the power to define yourself; if you let others or even the world-mind define you, you can set yourself up for sickness, misery, hate, failure and poverty. Rev. 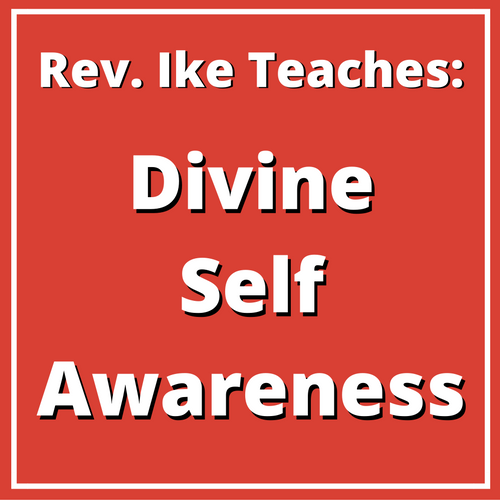 Ike also explains the fascinating relationship between your Free Will and your Self-Awareness. He teaches that you only have free will up to a certain point - the moment you establish how you define or identify yourself. After that, you will be subconsciously compelled to do all that is necessary to be what you believe yourself to be, do what you feel you can do, and have what you think you deserve. He ends this powerful lesson with a positive affirmation that guides you on how to love the highest idea of yourself, the God-idea of you.